Mar 20 Have a fun weekend. We are finally heading to Abilene to see family (our trip a few weeks ago got rescheduled because of snow) and we're so excited! #PennysFirstRoadTrip and she will get to meet her doggie cousins. Chris's parents have three Jack Russells, and I fully expect to bring home one pooped puppy from playing with them. Hope you all have a fun weekend ahead with lots of love and hopefully some puppy kisses thrown in for good measure! An adorable tee that can easily go from an outdoor festival to a nice dinner. About to start this book – have any of you read it yet? The best price for the best pen. Curious if you should get rid of cable? Just signed up for this fun class. Take it with me! 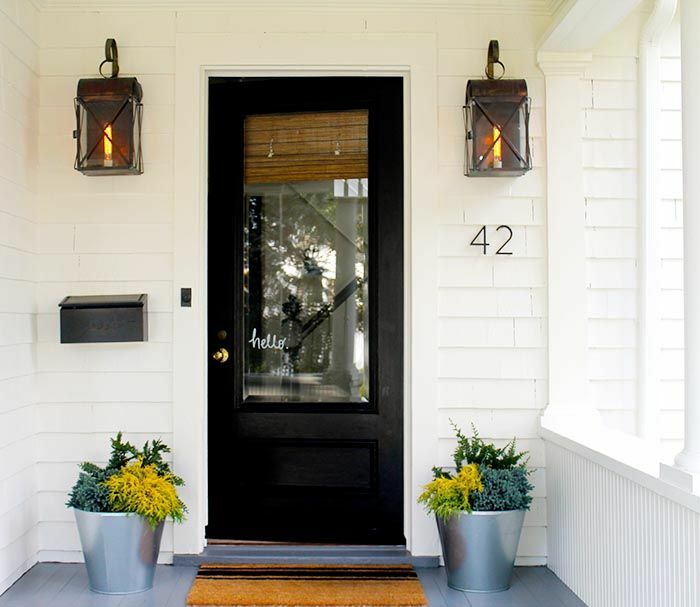 Loving this classic modern front door via Design*Sponge.